I have used Schmid Cleaning for over ten years and not only are they very reliable, but also trustworthy and professionals. They do an excellent job cleaning my home. David and Joseph have been cleaning my house since 1999, I couldn’t be more happier with them over the past 14 years, I highly recommend them. I’ve had these guys cleaning for me for over 4 years and I’m totally delighted to have them clean my house, price is right and they do great work. Joseph has cleaned for me since Jan 2011 replacing my cleaner of over 20 years, so I was very worried on replacing someone I could trust in my house. Joseph and David came into my home the 1st time and not only made me feel that they could do a good job, but also that I could trust them 100%. They’re very good to my cats and careful to my valuables. They both came highly recommend from one of my friends. Schmid cleaning has cleaned for me for almost 5 years now, being a retired older lady, I was very worried about the price but also someone I could trust. Joseph is very kind and is a very hard worker. They clean for me bi-weekly, I wish I could afford weekly cleaning. I found Schmid Cleaning online in a google search and saw what great reviews they had. I decided to try them out and it was the best decision I ever made. They were on time, had a neat appearance, and did everything they said they would. I m a busy, self employed mom so I never have time to take care of the detailed cleaning. My house was cleaner than it has been in years! Thank you for your exceptional service! I have used other services in the past and have never been as pleased as I was with this one. Great service. Can not ask for better. Good prices and wonderful cleaners. For over a year I have used Schmid Cleaning Service and am really pleased. Joe is polite, arrives on time and does an excellent job in every aspect of home cleaning even with my four cats. The price is very reasonable and well worth it. Highly recommend. Great service. These are 2 hard-working individuals who will accomplish what they have said they can do. The cost is moderate and you have to provide the cleaning supplies, but generally they work with your schedule and you can incorporate laundry into the service also. I have found them to be reliable and trustworthy. 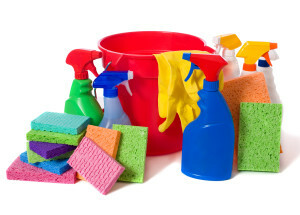 At Schmid cleaning we strive to give our clients the best possible experience and the cleanest space we can. Your experience and thoughts are important to us! Please take a minute and let us know what you think.